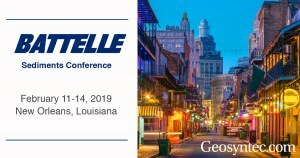 Geosyntec professionals will make a substantial technical contribution at Battelle's Tenth International Conference on Remediation and Management of Contaminated Sediments at the Hilton New Orleans Riverside in Louisiana on February 11-14, 2019. Geosyntec-led contributions include four platform chairs, eight platform presentations, one panelist, two short-course instructors, and two poster presentations. Geosyntec has also collaborated with universities and other parties in the preparation of conference materials delivered by others. 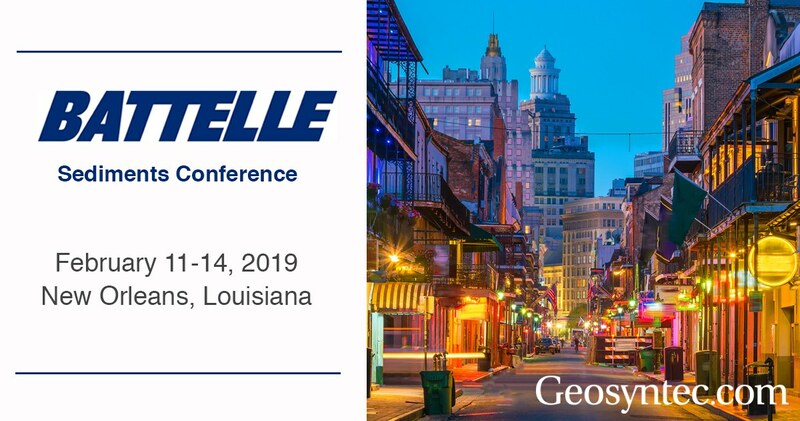 Geosyntec professionals will be at booth #132 to meet with attendees and answer questions about contaminated sediments. The Battelle Sediments Conference series is a forum for sharing research results, practical experiences, and opportunities associated with investigating, remediating, and restoring the environmental and economic vitality of waterways. Managing these aquatic systems requires complex actions that affect a diverse group of stakeholders and touch a wide range of environmental, economic, political and social issues. The conference offers eight short courses, more than 540 platform and poster presentations in 43 technical sessions, 12 learning lab demonstrations, and 78 exhibitors. There will also be multiple daily networking opportunities including, breakfasts, beverage breaks, and two poster receptions. Platform Presentation: A Case Study Involving California’s Latest Sediment Tool: Human Health Sediment Quality Objective Tier III Assessment.